What is a Molar Mallet? 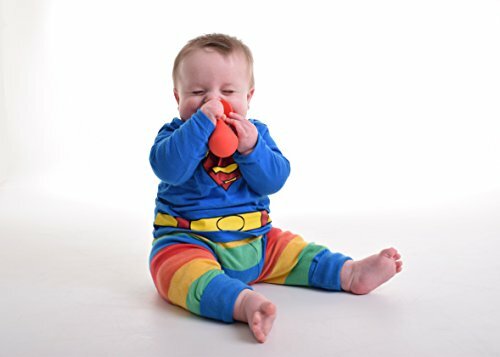 Molar Mallet is a highly interactive teething toy and was invented by a UK Mum and Dad, who saw the need for a teether specifically designed to reach the back of the jaw, for when those painful back teeth start to erupt! Well, give it to your baby and they can show you how it works. They usually instinctively know what to do. Simply apply some teething gel to the chew head, so they can get it right where they really need it! If they drop it on the floor, it will wobble back upright, so the chewing end stays cleaner than other teethers. This wobble feature is also very entertaining for little ones. You just can’t keep a good toy down! It has a rattle in the base too, to help teach little one cause and effect. The shield helps to prevent over-insertion into the mouth. Oh definitely! As with all Gummee products, Molar Mallet is sold Worldwide, and so passes all safety testing. It is recommended for use for babies aged 12 months plus (Teething stage 4+) so encourage little one to chew on the Mallet when those pesky molars erupt!. Use for teething stages 4,5 and 6. Wash with a warm soapy wash cloth on the outside. Do not immerse in water (this may prevent the rattle from working) DO NOT MICROWAVE.√ Specifically designed to reach areas of the jaw that other teethers cannot reach. If baby drops this teether, it wobbles upright so that the shewing end stays off the floor, which makes it a super entertaining toy for your little one, you just can’t keep a good toy down! It also has a little rattle in the base, helping to teach cause and effect. √ Specifically designed to reach areas of the jaw that other teethers cannot reach specifically designed to reach areas of the jaw that other teethers cannot reach. Apply teething gel or powders to the chewing head, so that baby can get pain relief exactly where they need it. √ As with all of our products, meets all safety testing requirements. Conforms to EN71/CE, ASTM, Aus & NZ, & CCC. Made from TPE. √ Protective shield to prevent over insertion into the mouth, and to help prevent chewing end from touching too much dirt if dropped on the floor.